Please indicate the colour in the comments sections when purchasing. 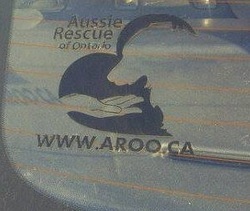 These decals are $10 plus shipping $2.00 in Canada. Plan where you are going to apply the custom decals. Keep in mind when planning the application that, in order to maintain a uniform look, the decals must be applied straight and even. Position the decals on the car and secure temporarily with painters tape. Only apply the tape to the top edge of the decal, as you will need to be able to lift it up to remove the backing. Lift up the decal and peel away the top edge of the backing. Press the exposed adhesive firmly onto the car. Slowly peel away the backing in a downward motion, smoothing it out with your hand. Once the backing is removed and the decal is permanently applied to the car, you can remove the painter's tape. Smooth out the decal using a rubber spatula or plastic Credit Card Slowly and smoothly press out the bubbles, maneuvering them to the edge of the decal until the air escapes and the bubble disappears. Make sure you don't use a tool that will damage the car or decal.